A global financial centre, Shanghai, is located on the Yangtze Delta River in China. The city has been one of the fast developing cities in the world and this has created a number of employment opportunities. There are a number of IT companies in Shanghai that look to recruit professionals who have the desired certification for the job. 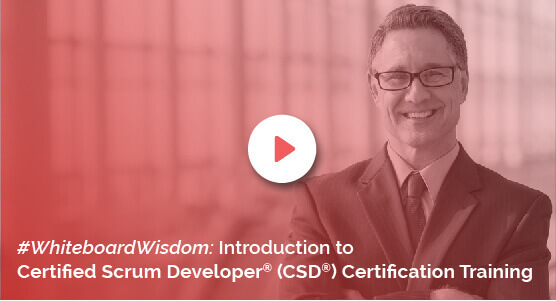 This has increased the demand for those who have done the CSD certification. Knowledgehut offers the CSD training in Shanghai and the workshop is conducted by an experienced tutor. The CSD certification in Shanghai is essential because it shows the holder’s grasp on scrum principles and his technical assessment. The course is in demand because it offers specialized technical knowledge of Agile. Those who do the Certified Scrum Developer training in Shanghai are committed towards continuous improvement. The Certified Scrum Developer certification in Shanghai makes one understand and implement the scrum principles. The CSD training in Shanghai also lets one grasp the engineering skills of Agile. The fee to register for coaching at the institute is reasonable. The CSD course in Shanghai is a 5-day classroom training programme. On successfully completing the course at the academy one gets the certified scrum developer certificate. The course is taught using the approved course material of the Scrum Alliance. The trainer teaches the basics through lectures and also conducts a lot of practice sessions. The classroom training conducted by KnowledgeHut gives you a lot of practical knowledge of the tools used. You will need to enrol to know the cost of the course and also be able to attend a demo session.